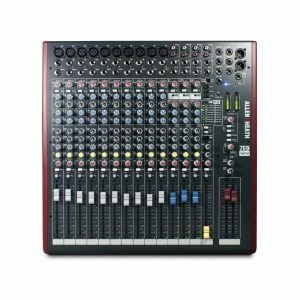 Home / PROFESSIONAL AUDIO / Mixers / YAMAHA EMX312SC 600 Watt Powered Mixer FREE SHIPPING! YAMAHA EMX312SC 600 Watt Powered Mixer FREE SHIPPING! Australia-wide Delivery with tracking is INCLUDED – Buy Now and Save! Ask any sound-engineer in the know and they will confirm that Yamaha wrote the book on portable PA. Yamaha’s EMX series powered mixers deliver class leading features, performance and reliability night after night. Right now we are offering great deals on the entire EMX range. Experienced musicians, performers, speakers and club operators know the importance of a high-quality sound system with the right features and performance to deliver their sound. Where portability and convenience are important criteria, a system based on a high-performance Yamaha EMX-series powered mixer is definitely the way to go. In one integrated, portable unit you have a mixer to combine and balance your microphone and instrument and line sources, effects to refine and polish your sound, and power to drive the main speakers and even monitor speakers as well. The Yamaha EMX312SC Powered Mixer offers a range of features that let you mix, process, and deliver your sound with maximum quality and creative control … and, of course, that unrivaled Yamaha sound. Top-quality effects, two Graphic Equalisers and 600 watt RMS ( 2 x 300 watt RMS stereo) power output in a portable brick-type mixer. 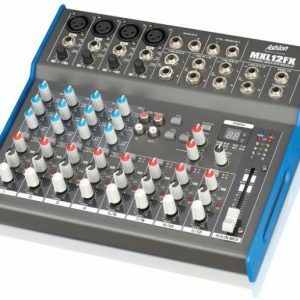 The EMX312SC powered mixer integrates mixer, power amplifier, graphic EQ, and digital effects into a compact, portable unit. No need for complex setup and wiring – simply plug in and play! The entire system is optimised, so it’s easy to get great sound just about anywhere. Parts selection is crucial to achieving the best possible sound, and Yamaha spares no effort in selecting the best. The critical head amplifier circuit, for example, uses special low-noise chip resistors that are deposited on a thin film of nichrome for accurate, noise-free reproduction. Special care has also been taken in laying out the system’s grounding as well as the circuitry in general to ensure that no unwanted noise or interference degrades the quality of the sound. o channels 9/10 and 11/12 are stereo line inputs. Connectors are also provided for connection to external power amplifiers and effect processors. Stereo channels 9/10 and 11/12 include 6.3mm phono jacks for direct connection of CD/MP3 players or other music playback devices, to which the 3-band channel equalisers can be applied as required. There are also two 7-band Graphic Equalisers that can be used to match speaker and/or room response for optimum sound. Yamaha’s SPX effects are widely recognised as being some of the finest available for both recording and live sound. The EMX312SC powered mixer features a built-in SPX effect processor that delivers extraordinary effect quality with 32-bit processing. 16 effect programs with adjustable parameters give you top-quality digital reverb, echo, delay and more. There’s even a footswitch input that will accept an optional FC5 footswitch to turn the effect on/off. 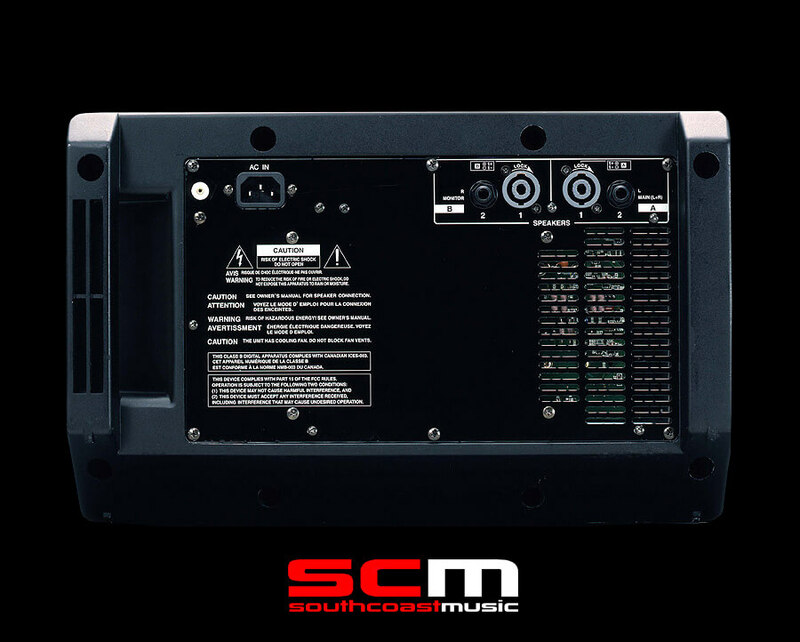 To make the EMX312SC powered mixer light and manageable, the power amplifiers used must be extremely efficient while providing superior sound quality. In fact, the EMX power amplifiers are remarkably efficient, delivering high power with relatively low power consumption and heat generation. At the same time they deliver outstanding audio quality with excellent transient response and low distortion. Power output from the EMX312SC is 300W + 300W. Each mono input channel on the EMX512SC and EMX312SC features an advanced compressor circuit that lets you achieve the ideal degree of compression with a single knob. Setting up optimal compression for a source is usually a complicated process, but this unique compressor makes it easy to achieve “musical” compression for enhanced vocal or guitar sound. With the EMX312SC reduced weight does not mean reduced performance. The cabinet is formed of a special lightweight yet rugged material, while a switching power supply delivers all the clean power the system needs. The power amp itself has also been refined for outstanding sound, extra high efficiency and reliable performance. The cabinet design allows normal or angled placement for improved visibility and access. The EMX312SC powered mixer not only meets worldwide safety and electronic emission standards, but is also subject to more than sixty rigorous internal Yamaha tests that guarantee the highest possible level of reliability. Airflow can be compromised when a powered mixer is rack mounted, and direct sunlight in outdoor applications can raise temperatures to dangerous levels. The EMX312SC mixer features a forced-air cooling system that has been custom-designed to ensure reliable operation and high performance even under difficult conditions. The Yamaha FCL (Feedback Channel Locating) system makes locating and eliminating feedback easier than ever. FCL indicators provided on each input channel indicate which channel feedback is occurring in, so you can identify it visually and adjust levels or EQ as required. 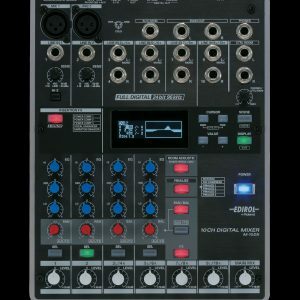 Another handy features is a Standby switch that mutes channels 1 through 8 so that for example, after rehearsal or between sets you can mute performer’s inputs 1 through 8 without having to change fader settings, while stereo inputs 9 through 12 remain active for background music playback. Yamaha Speaker Processing provides optimised matching with Yamaha Concert Club series, BR series or AX series speakers, for clean, solid reproduction that will deliver your music with maximum impact. Your EMX312SC mixer can be conveniently rack mounted using the optional RK512 rack-mount kit – contact us for pricing and availability.